Windows or doors not working properly. 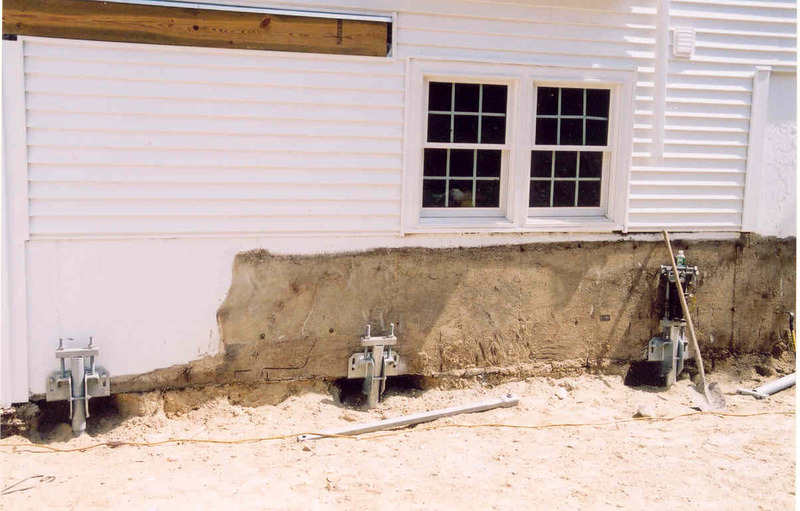 In a sinking house, the foundation tends to crack, bow and buckle walls and uneven the floors which are problems commonly faced annually by some quarter-million home owners. Homes and other structures may settle when situated on unstable or soft soils. 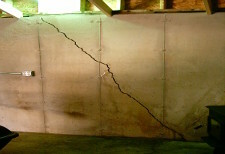 A shifting foundation can result in structural damage to your home and a loss of your investment. When our AB Chance certified helical pile installer has received the plan of repair from a qualified design group or individual, he can proceed with the basement/foundation repair. Remember, one of the best investments you can make is to get a soil boring on your property. This will enable the designer to determine what type of anchor and to what depth it must go to stable soil. 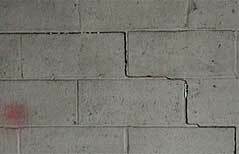 Two of the commonly used methods are (1) underpinning the section of the foundation that's settling or (2) the use of helical tieback anchors for basement walls that appear to be buckling. Usually the helical pile installer will excavate a hole at each anchor location wide enough and deep enough to place a bracket under the foundation. The leading section of the anchor with the proper number and size of helices will be installed by a rotary installing machine. Extensions are added until the helices are at the proper depth and the predetermined torque is achieved. At that point the bracket is added, the load is transferred to the anchor, and the building can be stabilized or lifted according to the plan of repair. 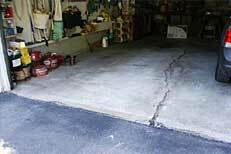 Solid Earth Technologies, Inc. offers solutions for foundation repair that will make your home last a lifetime. Our Helical Pier Foundation System stabilizes the foundation without damaging the existing structure or the landscaping. We have an extensive list of satisfied customers and will furnish home owner references on request. If you have a house settling and need further assistance, please use our form to contact one of our helical pier installation specialists.